Lost Egypt: Ancient Secrets, Modern Science is a nationally traveling exhibit opening this Saturday, September 24 at the Northwest Museum of Arts & Culture in Browne's Addition. This exhibit reveals how archaeologists are using modern science and technology to uncover and understand the ancient civilization of Egypt in new ways. Lost Egypt features a 2,300-year-old female human mummy, along with various animal mummies. Through hands-on activities, a wide variety authentic ancient artifacts (including ceramics, bronzes, amulets and art), and guidance from real archaeologists, visitors will have a chance to unearth the mysteries of ancient Egypt, its culture and its people. 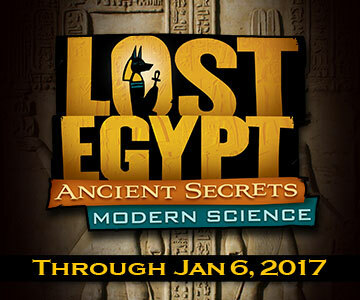 "Lost Egypt makes an unforgettable connection between past and present customs, cultures and sciences. This exhibit is particularly inspiring for young people, illuminating the roles they can play as future archaeologists, scientists, engineers, technicians, art conservators, and life-long learners," said John Moredo-Burich, interim executive director of the Northwest Museum of Arts & Culture. The exhibit will run through January 6, 2017. For more information, visit northwestmuseum.org. The 12th annual Fall Festival of Homes, presented by the Spokane Home Builders Association, is set for the weekends of September 23-25 and September 30-October 2. This event is the largest new home construction showcase in the Inland Northwest featuring 32 homes from 20 of Spokane's finest builders. This year's event features homes varying in price from $236,900 to $649,900 and are located in neighborhoods throughout Spokane County, plus one home in Pend Oreille County. Hours are 10am to 5pm daily. For more information, visit www.SpokaneFestivalofHomes.com. Maps and an event guide will also be included in a special insert in the Wednesday, September 21, edition of The Spokesman-Review. With the closure of Macy's and the purchase of the building from Macy's, Centennial Properties will begin a complete make over of the Macy's 274,000-square-foot building. Demolition is underway, with an anticipated reopening of late next year. The first two floors of the building will be retail space, the mezzanine level will be removed, creating expansive ceilings to welcome shoppers on the first two floors. The floors above the retail levels are being designed as residential apartments with fifteen apartment units per floor on floors five through nine. The apartments will take advantage of the park and city views. Floors three through four will be designed as flex space to accommodate either residential apartments or commercial office. 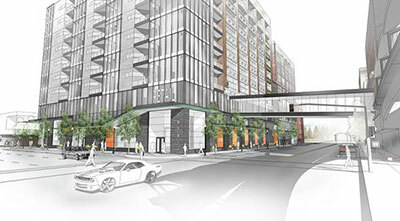 The basement floor of the building will be entirely underground parking with the entrance to the parking garage provided by a ramp off Howard Street. A focus of the project will be the pedestrian experience and streetscape along the entire north side of Main Street between Howard and Wall Streets. The sidewalks will be replaced and tree wells will be provided on all three sides of the building. Centennial has engaged Walker Construction, DCI and NAC Architects to work on the project. This three building complex has a rich history which reveals names like Welch, Culbertson's, and Wraight's before The Bon Marche', Bon Macy's, and finally Macy's. River Park Square is having a 'Name That Building' contest. Entries will be accepted from October 1-31 on the website, www.riverparksquare.com, and at the River Park Square Concierge desk, located on the first level. Four finalists will each win a $100 River Park Square gift card. The new name will be announced in November. The City of Kennewick's newest fire station and the first built in the city in over 20 years, located on the corner of Kellogg Street and 10th Avenue, is now available to serve the city's residents. Construction of the one-story facility started last October. The 12,550-square-foot building provides citizens of Kennewick better response times to fires and medical emergencies. The new station cost $3.2 million to build, not including land. The facility was constructed with materials requiring minimal maintenance, and its landscaping includes native vegetation and rock to reduce water consumption. It has living quarters for six staff and space to house up to four fire and emergency medical service units. Meridian Construction & Development of Spokane was the general contractor for the project. David Robison of Strategic Construction Management in Pasco acted as the owner's representative. Brian Harris, Principal Architect with TCA Architecture Planning of Seattle, designed the new station along with Jason Warner, Project Manager. Applications are now available for Greater Spokane PRSA's (Public Relations Society of America) Scholarship. Open to students for the 2016-2017 school year, the award can be used for a $1,500 scholarship to an accredited university/college, a 1-year paid membership with entry to PRSSA/PRSA events, or travel to attend a professional conference (up to $1500). Applications will be accepted until September 30 at 5pm. Spokane PRSA will announce the scholarship winner in October. To apply visit prsaspokane.org. Join One Day University and The Spokesman-Review for a special event this Saturday, September 24, from 9:30am to 4:15pm at Northern Quest Resort and Casino. Spend a fascinating day with four award-winning professors. You'll experience four thought-provoking talks and countless engaging ideas. There are no tests, no grades and no homework, just the pure joy of lifelong learning. To find out more and to register, visit www.onedayu.com/Events/listing/68. Retro Donuts is new donut shop opening next month at 10925 N. Newport Hwy in North Spokane. The 1700-square-foot shop plans to have over 60 different varieties of donuts that are rotating with over 40 types displayed each day. Retro Donuts will have free wifi for inside diners and eventually a drive up window. You can get more information on Retro Donuts on Facebook. Willow Song Music Therapy Services, operated by Board Certified Music Therapist Carla Carnegie, is expanding to now include a physical location, E. 21101 Wellesley in Otis Orchards. Carla has been working for 4 years in private practice serving individuals and groups living with wide variety of neurological issues like Alzheimer's, stroke rehabilitation, general anxiety and autism. You can learn more at willowsongmusictherapy.com. Kiemle & Hagood Company and Providence Health & Services announce an expansion to their contract for Eastern Washington, Western Montana and Tri Cities property management services. This new management portfolio consists of 60+ facilities that encompass over 2,100,000-square-feet of medical office space in Spokane, Stevens County, Tri Cities, Walla Walla and Montana. In order to provide successful results and oversight of this new management portfolio, Kiemle & Hagood Company will open a Kennewick office. A Missoula office will also open in the near future. In addition to office expansions, two additional property managers and four facility maintenance technicians have been hired.